The increasing number of marketing channels, combined with prospects’ enhanced ability to research their purchases, has created a significant budgeting problem. Marketers know which channel their customers used to make a purchase: Determining which ones influenced the purchase is harder. Marketers face ramifications for getting this wrong. If they rely too heavily on the channel used to make the purchase, they will undervalue—and potentially underfund—the advertising mediums that established the brand or influenced the purchase decision. Fortunately, organizations are realizing this is a problem. 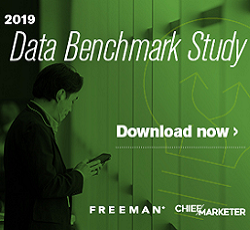 “Marketers are becoming aware that basic channel metrics are not telling them how their customers are interacting with their brands,” says Tina Moffett, an analyst at Forrester Research. Unfortunately, several factors work against full adoption of channel attribution. These include organizational resistance to change and technical limitations regarding gathering, merging and analyzing data. Surprisingly, Moffett claims that the most difficult medium to integrate into channel analysis is mobile. Mobile activity, a significant avenue of information gathering, is trackable, she acknowledges, but connecting it with computer-based browsing is difficult. Similarly, social media data, such as a prospect’s exposure to sentiment information, may be harder to track and incorporate, although a close look at referral domains and identifiable postings can offer some clues. Another surprise: It’s comparatively easy to incorporate retail data, thanks to loyalty programs and point of sale systems. And instore browsing activity can be inferred somewhat through check-ins on mobile devices or kiosks. Even mass media data can be incorporated into an attribution model, albeit not necessarily with the granularity of digital activity. Marketers for whom television, radio or run of press advertising is a significant part of their marketing mix should use media mix modeling, which would then be overlaid onto a channel attribution model. Marketers who are heavily invested in mass media should look carefully at their spending and how it correlates with actual purchases. The reach afforded by television, according to Moffett, is still a major consideration for many marketers, especially for those who have to either make quarterly numbers or burn advertising budgets. “If that means carpet-bombing prospects, that is what they will do,” Moffett says. As a result, the impact of these exposures may not be recorded, meaning that it will be harder to fine tune, if the marketer does not want to eliminate it completely. Marketers willing to explore channel attribution have some work ahead of them, according to Moffett. Before they begin an analysis, they’ll need to determine who will be conducting it. Even those who have inhouse analytic operations may need hand-holding when it comes to channel attribution activities. The spectrum of vendors offering attribution services includes full-service multichannel attribution firms, which blend offline and online data into single algorithms; agencies that offer database and analytics capabilities, but which may not have attribution modeling competencies; analytics consultants; and marketing-mix firms, which include attribution modeling within their spending optimization analysis. Marketers begin the process by identifying the completeness, accuracy and granularity of their customer interaction information. Given that many marketers still haven’t merged email information with the rest of their customer data, this alone could be daunting. They’ll then need to augment their existing data with whatever they don’t have, which may mean setting up new tracking systems that capture different data points for their various channels. Next, marketers will need to designate an inhouse analytics expert, even if they outsource their analysis. In addition to being comfortable with the statistical side, this person must also be able to communicate with marketing, sales and the c-suite in a non-statistical manner. Finally, they must settle on an equitable attribution methodology that supports pre-established marketing goals, whether brand awareness, sales or information. As part of this, marketers will need to understand the paths customers take on their way to making a purchase. That final step will guide email, search and other media spending. It’s here, says Moffett, that many marketers fall down: They emerge from the initial analysis process (which will be tweaked as it goes on) with a new set of metrics to follow, but without a sense of how the findings will affect their overall strategy.